Can Your Drains Benefit from Store-Bought Cleansers? The short answer to this is “no.” Let’s not leave it at that though. We understand you may be wondering why, if store-bought drain cleansers are so bad, are they so widely popular and sold in stores throughout the country? It’s not that they don’t have a purpose to serve, but the problem is essentially that these chemical solutions only provide a temporary solution and don’t get to the root of the problem. Have a look at some of the reasons why you need professional Waterloo, IA drain cleaning services, rather than trying to deal with it on your own with caustic chemical drain cleaners. 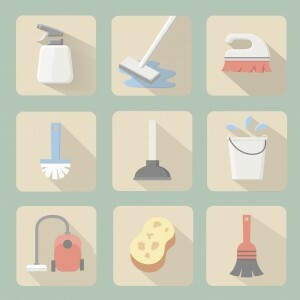 Posted in Drain Cleaning | Comments Off on Can Your Drains Benefit from Store-Bought Cleansers? 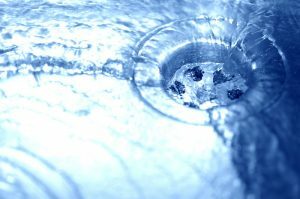 Drain Cleaning: What Are the Benefits of Annual Drain Cleaning? Home maintenance is a responsibility that all homeowners should adhere to in order to see the greatest returns on investments. Home properties are considered to be among the most valuable assets individuals and/or families can own. Therefore, properly maintaining the property will always work to their advantage. 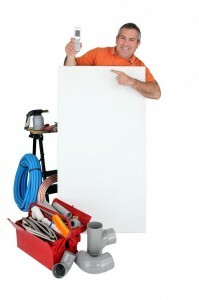 Let our professional plumbers help you. There are many areas within a home an owner should regularly inspect to ensure their property is kept in proper working condition. If all of the home’s components are well maintained, they will have the opportunity of either retaining its value or potentially increasing it. The inspection stages should consist of the homeowner looking over the areas that are utilized most often. Since a home’s amenities, appliances and components are utilized on a regular basis, they will become prone to undergoing the natural effects of wearing and tearing over time. Therefore, it is imperative for them to ensure that they pay special attention to the areas that are used most often first. This way, they will prevent any possibilities of such areas deteriorating due to negligence. Some of the most commonly utilized components are attached to a home’s plumbing system. 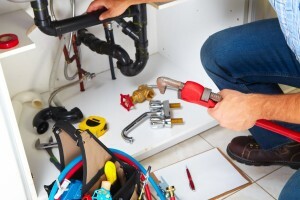 The plumbing system is interconnected to a myriad of components, including: toilets, sinks, bathtubs, showers, pipelines, sewage lines, garbage disposals, refrigerators, outdoor sprinkler systems, swimming pools and water heaters. Due to the vastness of connections, the plumbing system plays an important role in a home’s qualities of functionality and efficiency. A homeowner’s proactive measures of maintenance and due diligence can have a significant amount of positive impacts on the value of their home. An annual drain cleaning is highly recommended for homeowners that not only care about maintaining the conditions of their home and retaining its overall value, but also for those that are seeking to keep costs of utilizing the home’s components on the lower end while living a comfortable life full of quality. An annual drain cleaning alleviates the problems of accumulated dirt, grime and debris within a home’s plumbing system. By acquiring such a service, a homeowner will be able to avoid pipe clogs, bursts, leaks, floods and many other problematic occurrences. Unclog that drain with the experts at Dalton Plumbing, Heating, & Cooling, just Call (319) 266-3513, we offer the best drain cleaning services in the Cedar Falls area. One of the most common and annoying problems that many people have with their plumbing systems is clogged drains. Clogged drains happen all the time, and many people wonder why it keeps happening to them. The answer is simple: Drains clog because of what you put down them. Unfortunately, many people consider sink, drains and toilets as some kind of liquified waste and garbage disposal systems. Part of the solution to preventing clogged drains lies in educating people about the limitations of their plumbing systems, however, the best solution is always calling professional Drain Cleaning services. Generally, plumbing drain systems are designed to carry certain waste materials combined with a limited amount of paper and other minimal bi-products with a larger amount of water. It is the force of the water alone that pushes debris out of the drain and eventually into the main sewer line. Eventually, the debris in a drain or sewer line can build up to the point where the water can no longer move them, resulting in a clogged drain line. One of the best ways to prevent drain clogs is to pay attention. During the coarse of your everyday activities, you should pay attention to what is going down your drains and toilets. Make sure that nothing goes down your toilet except waste and a reasonable amount of toilet paper. Also, make sure that you have a good strainer on all of your sinks. The strainers will catch unwanted debris such as food waste and hair. These things will clog up your drain real quick. While it is a good practice to take every precaution you can to keep your drains free and clear, you will need the help of a professional plumber to ensure that your plumbing system is running at its best. Regular and routine drain maintenance is essential in keeping your plumbing system functioning at its best. A professional plumber has the knowledge, skill and equipment to provide a wide variety of drain maintenance services that will keep your home’s plumbing operating perfectly. Professional plumbers will come to your home with equipment that is specifically designed to clear out your drains. Professional plumbers s plumbing “snakes” of all sizes to clear out each and every drain in your house. They will use specialized hydro-jetting equipment to completely clear out your main sewer line; leaving it aw clean as it was when it was new. Only a professional plumber can ensure that your drains are as clean as they should be. Are you looking for Drain Cleaning services in the Cedar Falls area? Look no further than Dalton Plumbing, Heating, & Cooling Inc. , call us today at (319) 266-3513.